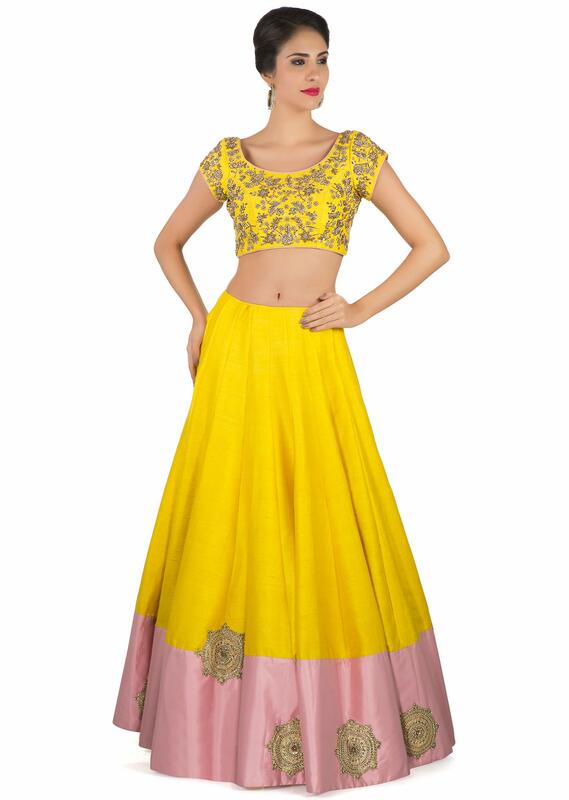 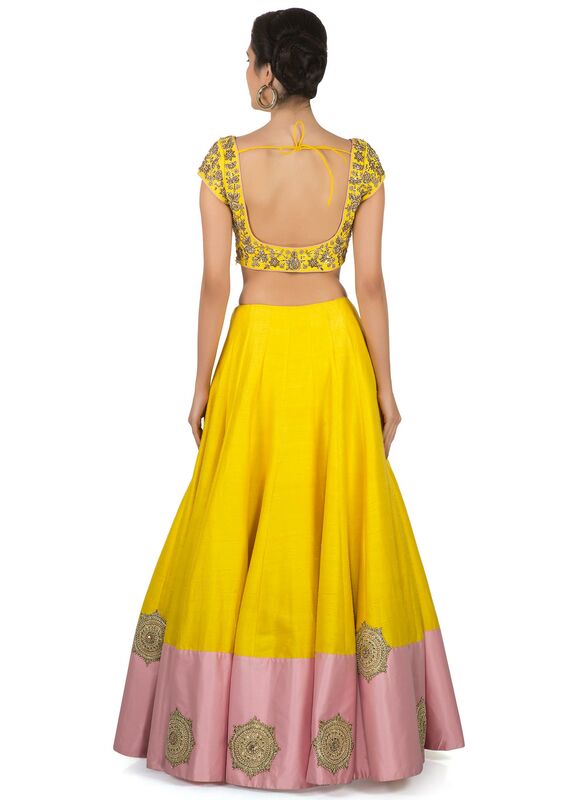 Amber yellow lehenga and blouse featuring in raw silk with. 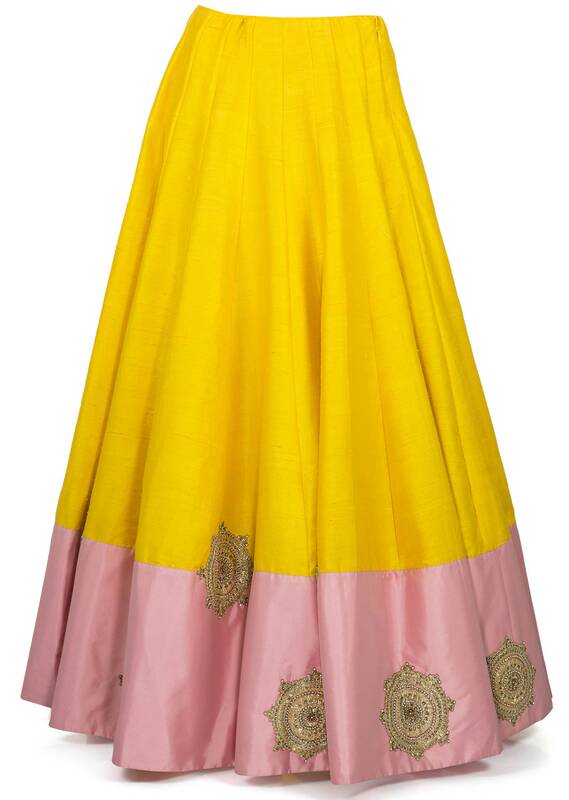 Border is in pink satin highlighted in moti and zari round butti and blouse in zardosi and motif work all over. 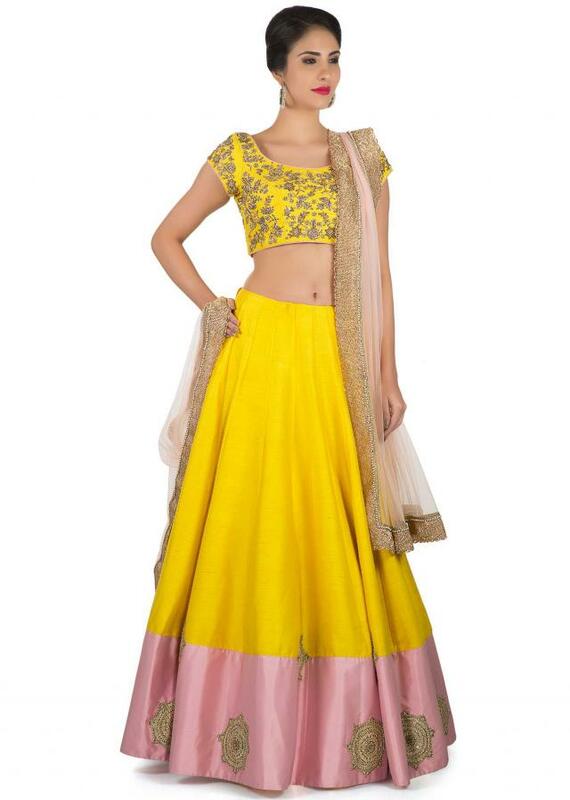 Matched with baby pink net dupatta with lace border.